Nanaimo /nəˈnaɪmoʊ/ ( Canada 2016 Census population 90,504) is a city on the east coast of Vancouver Island in British Columbia, Canada. It is known as "The Harbour City". The city was previously known as the "Hub City", which has been attributed to its original layout design where the streets radiated out from the shoreline like the spokes of a wagon wheel, as well as its generally centralized location on Vancouver Island. Nanaimo is also the headquarters of the Regional District of Nanaimo. The gassy qualities of the coal which made it valuable also made it dangerous. The 1887 Nanaimo Mine Explosion killed 150 miners and was described as the largest man-made explosion[ citation needed] until the Halifax Explosion. Another 100 men died in another explosion the next year. Located on the east coast of Vancouver Island, Nanaimo is about 110 km northwest of Victoria, and 55 km west of Vancouver, separated by the Strait of Georgia, and linked to Vancouver via the Horseshoe Bay BC Ferries terminal in West Vancouver and the Duke Point terminal to the Tsawwassen ferry terminal in Tsawwassen. As the site of the main ferry terminal, Nanaimo is the gateway to many other destinations both on the northern part of the island— Tofino, Comox Valley, Parksville, Campbell River, Port Alberni, Rathtrevor Beach Provincial Park—and off its coast— Newcastle Island, Protection Island, Gabriola Island, Valdes Island, and many other of the Gulf Islands. The 2011 Canadian Census reported that Nanaimo had a population of 83,810, a 6.5% increase since 2006. The size of the city's land area is 91.30 km², making the population density 918.0 people per km². The average age of a Nanaimoite is 44.8 years old, higher than the national median at 40.6. The original economic driver was coal mining; however, the forestry industry supplanted it in the early 1960s with the building of the MacMillan Bloedel pulp mill at Harmac in 1958, named after Harvey MacMillan. Today the pulp mill is owned by the employees and local investors  and injects well over half a million dollars a day into the local economy. [ citation needed] The largest employer is the provincial government. The service, retail and tourism industries are also big contributors to the local economy. Nanaimo is served by two newspapers—the Harbour City Star with approximately 37,000 copies once per week, and the Nanaimo News Bulletin (33,000 copies twice a week—audited), which is owned by Black Press. On 29 January 2016, its third newspaper, the 141-year old Nanaimo Daily News, shut down. Nanaimo also hosts a bureau for CIVI-DT ( CTV Two Victoria, cable channel 12) and a satellite office for CHEK-DT ( Independent, cable channel 6). In the House of Commons of Canada, Nanaimo is represented by Sheila Malcolmson of the New Democratic Party, representing the riding of Nanaimo—Ladysmith. 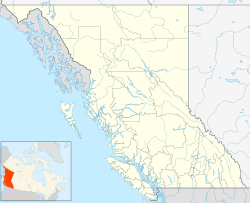 The city was split into two separate ridings, Nanaimo—Cowichan ( Jean Crowder, New Democratic Party), which includes South Nanaimo and Cassidy, and Nanaimo—Alberni ( James Lunney, Independent elected as a Conservative), which includes North Nanaimo and Lantzville, until the 2012 federal electoral redistribution. In the Legislative Assembly of British Columbia, Nanaimo is represented by the ridings of Nanaimo ( Leonard Krog, British Columbia New Democratic Party), Nanaimo-North Cowichan (Doug Routley, British Columbia New Democratic Party), and Nanaimo-Parksville ( Michelle Stilwell, British Columbia Liberal Party) Leonard Krog resigned in 2018 to accept the position of Mayor of Nanaimo. In response, Sheila Malcolmson resigned from Federal politics and successfully ran for the vacated position. The most well-known mayor Nanaimo ever had was Frank J. Ney, who instigated Nanaimo's well-known bathtub races, which he regularly attended dressed as a pirate. There is a statue to commemorate Ney—dressed in his pirate costume—at Swy-a-Lana Lagoon, which is on the Nanaimo waterfront. Ney was also an MLA for the Social Credit party while he was also mayor. An elementary school has been named in his honour. ^ a b " Introduction" ( Archive). Nanaimo Chinatowns Project, Malaspina University-College. Retrieved on 15 February 2015. ^ " Chinese Community" ( Archive). Vancouver Island University. Retrieved on 15 February 2015. ^ Kottek, M.; J. Grieser; C. Beck; B. Rudolf; F. Rubel (2006). "World Map of the Köppen–Geiger climate classification updated". Meteorol. Z. 15 (3): 259–263. doi: 10.1127/0941-2948/2006/0130. Retrieved 15 February 2007. ^ " Carte des écoles". Conseil scolaire francophone de la Colombie-Britanique. Retrieved on 22 January 2015.